If your business is thriving and you’re getting tight for space, then you may need to re-think your premises. There are a few options that businesses may want to consider increasing their space to satisfy their business needs and demands for expanding. Your company requirements may have changed, perhaps you have a new large client who will bring in considerable profits, but you desperately need more space to fulfil their orders and demands. Or maybe you have added another product or service to your business, making a need for more production space or assembling? Temporary Buildings for Storage is the perfect solution, keeping costs low, and on track. It seems that businesses are often now opting for temporary buildings for storage instead of building on the current site or moving to new premises. Temporary buildings give companies the larger extra space that they need quickly and efficiently, and usually within a matter of a few days. Building extra space on site requires capital that may not be readily available. It often also requires planning permission and foundations to be built – and of course a new building has a great deal of cost associated with it. Building on site can also take time, months and sometimes years, especially if planning needs to be approved. Businesses must appoint a reputable buildings team to carry out the work who need to be reliable and to get on with the job in hand until completion. Why Are Temporary Buildings a Good Solution? Temporary buildings take away the stresses and strains of pressure for companies while business is continuing to develop and instead of taking up so much time planning a new building, a temporary building is ready straightaway. Businesses no longer need to think about, plan and build their own extra storage or warehousing on site, nor do they need to have a capital investment to fund the project. Some businesses may consider uprooting and moving their entire business to new premises and while this is certainly a viable option, it also comes with many drawbacks. Moving means investing more money into new premises, it means stopping production and packing the company up, potentially delaying manufacturing and every day business that should be uninterrupted. This no doubt causes delays, affecting cash flow and profits, it could also potentially damage client relationships if the process does not go smoothly. It can also take months or even years to find the right location for new premises and not only does the space need to be large enough, but it also needs to be a location which is suitable for your workers. The financial outlays for deposits can be a heavy burden on the company if you are renting the premises, or if you purchase new premises then this will undoubtedly be an extra-large expense affecting profits. If you need more warehouses, extra storage or an allocated building for new distribution then choosing a temporary building is the most affordable option compared to finding new premises or building a new structure on site. It is also one of the quickest solutions for businesses, with structures often planned, erected and constructed on site within days. Temporary storage buildings and warehousing are not only an affordable and viable option for your business, but they also avoid several building restraints that you may normally experience if you were building a permanent structure on site. Building additional structures on your existing premises involves planning, outlay costs for project management, construction teams and materials, plus legal requirements such as planning permission and compliance with regulatory guidelines. A building project can potentially take years of planning before it is constructed and complete, but when you need the additional space quickly, time is not on your side. Temporary storage and warehousing buildings for sale avoid all the planning and costs associated with a permanent structure, and instead it immediately provides you with a usable building which can be quickly constructed and customised to your warehouse and business requirements. Temporary buildings can also be attached to one of your existing buildings appearing like an extension, so aesthetically there are many ways of making your structure fit in perfectly. 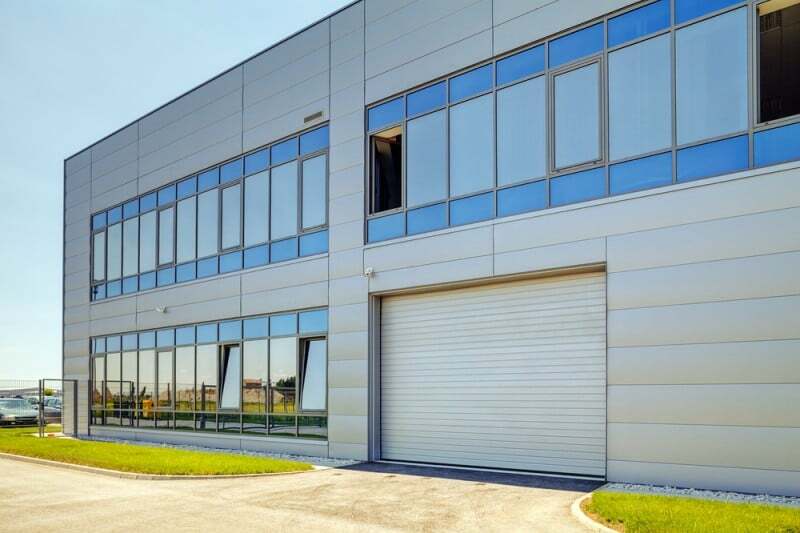 Choosing to purchase a temporary building for sale is of course still an investment for your company but it provides you with a quick solution to your needs, ensuring that you have the storage space that you immediately. Constructing a temporary building is still far cheaper than paying hefty capital for a permanent building. If you are planning on using a temporary building for a short space of time, then hiring is the most sensible solution. Opting for a temporary building gives you the solution that you need and the additional space that your business requires quickly, so that business can continue as usual. We understand that businesses need a building to fit in and enhance their existing premises. Temporary buildings for sale can be specifically designed and customised to your company’s needs. Whether you need insulated or non-insulated, a loading bay or a totally weatherproof coverage, we can ensure that your temporary building will be uniquely constructed for your business. You can choose the size that you need or attach it to an existing building as an extension to fit in with your premises. Temporary buildings for make a lot of financial sense for a business and provide a much cheaper alternative to paying hefty costs building on site or moving to new premises at another location. Although the word ‘temporary’ suggests that temporary buildings are limited timewise, this is not the case. In fact, they can last for around 30 years because they are made of strong and durable materials. They can be considered short-term for hiring (3+ months), but they can last a long time on site if needed. Depending on what you need your temporary building for, the bespoke designs can be customised entirely to your requirements. For example, a car showroom would need glass panelled walls for viewing cars – everything can be built to your needs. Temporary buildings can also be as large as you need them to be, indeed aircraft hangers have been constructed using temporary building structures. • Servicing Facilities – production machinery, cars, commercial vehicles etc. • Manufacturing & production – extra space for increased manufacturing demands. • Warehousing and extra storage – bespoke designed to suit products. • Supermarkets – main structure, extension or warehouse. • Chilled Storage or ambient storage – temperature controlled. • Commercial and Retail Sites – small to large retail structures. • Production Facilities – storage or production space. • Logistics and Transport – weatherproof coverage. Every business will always need space for warehousing. Temporary buildings are the perfect solution for your warehousing needs, ensuring that you not only have the space that you need but that your stock is protected in a structure that is made from strong, weatherproof materials. 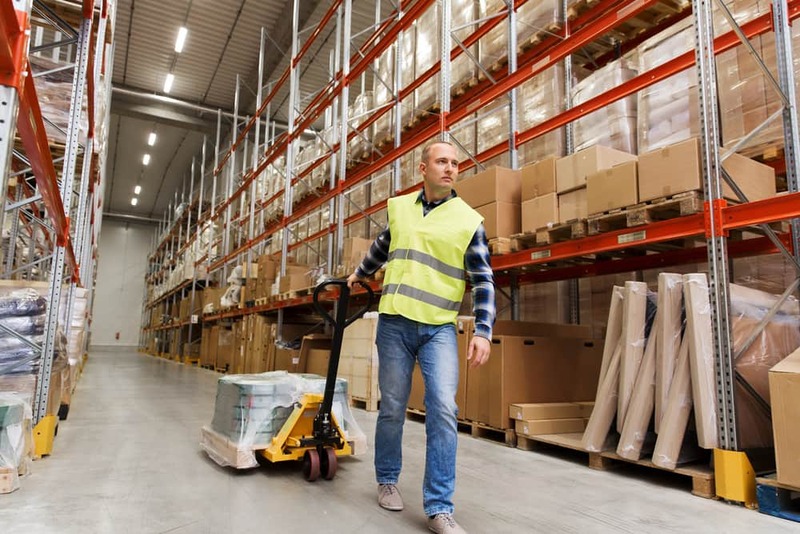 Whether you decide that you need a long-term solution for your warehouse, or just need a temporary short-term answer for increased stock levels, there are many available options to you. We offer the flexibility to increase or decrease your warehouse space at any time, so if you suddenly need more space than you initially planned then we can extend your temporary building. 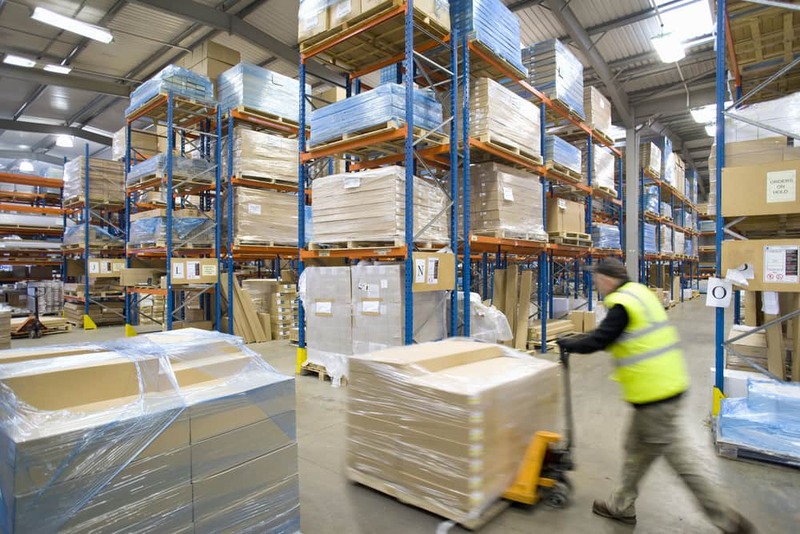 We supply single skin or double skin walls and many optional extras to ensure that you have the perfect warehousing for your type of business. If you think you will only need extra space for the short-term, then it may be worth considering hiring a temporary building from us rather than purchasing one outright. If it turns out that you end up needing it for long-term use, then we are happy to discuss your payments options and to extend your contract. We offer this flexibility because we often find that businesses require temporary structures for longer than first expected. Depending on the nature of your business and the length of time that you need an additional space on site, it may make more financial sense to purchase a building, rather than hire one. If you are considering using the building for up to 10 years then perhaps hiring is a better option for the business, but if it is likely to be more long-term, then purchasing temporary storage buildings for sale would be more economically beneficial for your company. Temporary storage and warehouse buildings for sale are still more affordable than building a new structure on site and it also helps reduce any financial burdens on the business in the long-term. It is also worth considering that most of our temporary buildings do not require planning permission, but it does depend on a few things so it is important this is discussed. Our temporary structures are constructed to comply fully with regulations, so there is no extra expense in legal fees or building charges. Also, depending on the ground where you want to place the temporary building, it is unlikely that it will need foundations built. So long as the ground is level and hard, then a temporary building can be constructed with no floor or levelling issues. Temporary storage buildings and warehouse structures are not only an affordable and viable option for your business, but they also avoid several building restraints that you may normally experience. Building additional structures on site involves planning, outlay costs for project management, construction teams and materials, plus legal requirements such as planning permission and compliance with regulatory guidelines. A building project can potentially take years of planning before it is finally constructed and complete which can be incredibly frustrating for businesses. Most Temporary buildings avoid needing planning permission, and instead immediately provide you with a usable building which is quickly constructed and customised to your warehouse and business requirements. Temporary warehouse and storage buildings will still be a positive investment for your company because they provide you with a quick solution to your needs and ensure that you have the storage or warehouse space that you need. However, constructing a temporary building is still far cheaper than paying hefty capital for a permanent building. Temporary Buildings – Hire or Purchase? If you’re unsure whether to hire or purchase a temporary building, build a new permanent structure on site, or move to new premises, then this should help you decide. Choosing to hire or purchase a temporary building is an excellent solution to creating additional storage and warehouse space on your business premises, avoiding the hefty costs of building on site or the upheaval of moving to new premises. 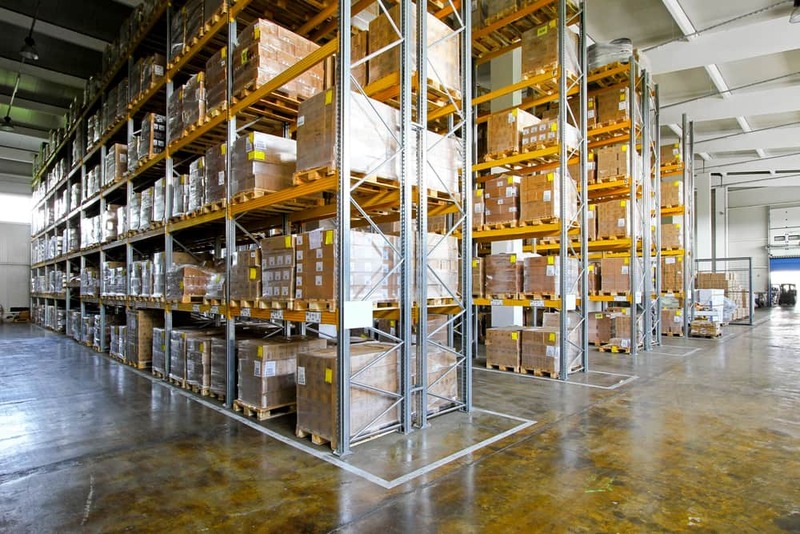 If business is going well and your company is steadily expanding, then it is inevitable that you will need more warehousing space or storage, or indeed manufacturing space to develop your business production even more. However, with most industries becoming so competitive nowadays, there is always a need to be financially cautious when it comes to investing for the future in your business. Some industries are unpredictable, so spending a fortune on planning a new build may not be the wisest thing to do, especially if you’re looking to reduce costs while you expand your company. Temporary buildings provide you with a solution and an alternative to building a new structure or moving premises to fulfil your business demands. It is an affordable option and a quick solution to helping your business to expand quickly. If you eventually decide to move premises for some reason, then temporary buildings can be easily dismantled by our team and moved to the new premises where it can be rebuilt. Temporary buildings are made from lightweight materials, so they are flexible in where they can be located and are also quick to construct and dismantle. If you need advice or professional recommendations on hiring or purchasing a temporary building, then please contact us today. Our expert team have years of experience and will give you their best advice on the most cost-effective solution for your business. Copyright 2017 Temp Re Build Ltd. All Rights Reserved.